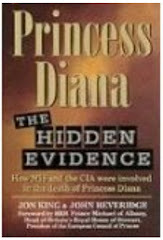 Princess Diana: Why Kill Andanson Three Years After The Crash? According to colleagues and close friends of Andanson, in the weeks before his death he had been bragging about how he'd gotten hold of sensational shots of the crash and final moments of Princess Diana in the tunnel. To those around him, it was quite obvious that Jean-Paul Andanson had every intention of selling those photos to the highest bidder. Evidently when tale of his activities filtered down to the ears of the masterminds behind the accident-assassination, their response was quick, simple and decisive…Andanson had to go! I mean it just wouldn't do to have a loose cannon like Andanson shouting his mouth off and raking simmering coals whose flames were on the verge of being extinguished forever! And besides, Andansons's alibi was already on very flimsy ground! If those photos got out inevitably questions would be asked; questions like "How Did He Get Them?" For a man who was not even supposed to have been in Paris at the time of the crash (according to the statement he'd given the French Police 3 years earlier) these were fiery questions that had no place being stoked. In fact such questions could bring the whole fragile house of cards (the plot) crashing down! Thus the decision was simple…Andanson simply had to die! What Possessed Andanson To Break The Code Of Silence? What could have possessed Andanson to start mouthing off the way he did when given a little more time the crash in Paris would have been nothing more than a distant memory to the public (well mostly) . Greed & Complacency; two common weaknesses characteristic of the human state! ...or maybe he found himself in desperate need of some quick hard cash so why not capitalize on that goldmine he was sitting on...surely enough time had elapsed! Evidently enough time had not elapsed and it is amply clear that by allowing his vanity to get the better of his professionalism Andanson paid the ultimate price!